It is already the forth year in succession that AEGEE-Dresden e.V. is picked as the exclusive sending association for Erasmus+ projects. This means that AEGEE-Dresden handles the complete organizational process for all participants from Germany. This includes selecting the participants, helping them book tickets and organize their documents like visa (if needed), also helping them prepare for the Exchange as a group, up to managing all reimbursements after the event itself has ended. Our Germany-based participants having dinner together after the preparation meeting in February discussing work packages to prepare until the start of the exchange. 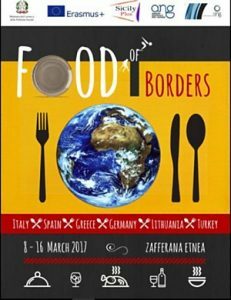 As fun and tasty this may sound for the participants – there is a serious reason behind the project Food of Borders : fighting xenophobia and racism through an universal action in all living beings on this planet – the food! In addition to the culinary cultural exchange the participants will tell stories from their home countries and will gain knowledge of new cultures. The time they are not cooking, eating or having workshops, all members will get to know stunning Sicily, and take part in the cultural program and group activities. For example visiting the famous Mount Etna! With Food of borders we can show people that we are not so different in the end. 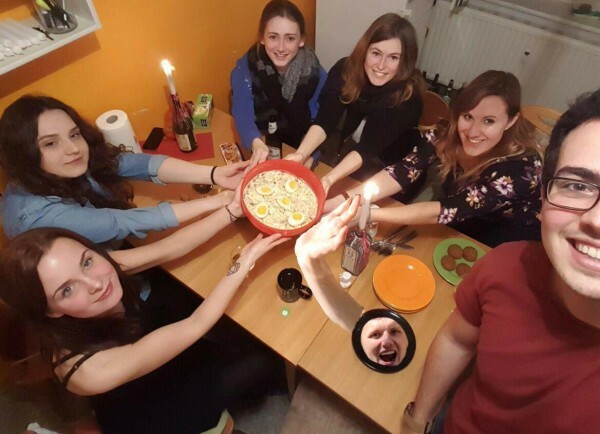 In fact we definitely share one big similarity: We all love food! So let’s get to know eachother more and more and build a strong European friendship! Let’s overcome our inner and outer borders with food! Sicily Plus is non-profit, non-governmental organization. Its main goal is i.a. 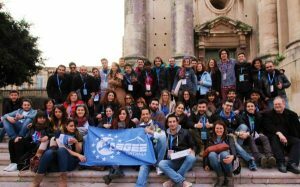 to develop young people into leaders and to increase cooperation with NGOs, civil society, states, international organizations, and with all countries in the Erasmus+ Programme.